31.01.2019 | What does the future hold for Instagram influencers? Filled with young millennials eager to follow the latest trends, Instagram is continually growing and changing and doesn’t appear to be slowing down anytime soon – here’s our top tips for marketing on Instagram. The platform has been a major player in both creating influencers and allowing fans to connect with their favourite celebrities. The doomed Fyre Festival of 2017, highlighted by the recent Netflix documentary, epitomises influencer power with thousands of people drawn to wanting tickets to the festival from influencers sharing a simple orange tile on their Instagram wall. Reality star and model, Kendall Jenner, was reportedly paid $250,000 for her since deleted orange tile post. But where is the line drawn between a genuine recommendation and a paid-for post? In the research for BBC Radio 4, 82% of people said it was not always clear when an influencer had been paid to promote a product. This begs the question as to whether influencers aren’t declaring paid-for posts and the answer is simply, yes. Has it become too difficult to regulate? The blurred line between what has been a paid for advertorial and what hasn’t is becoming increasingly confused, with influencers such as Binky Felstead of Made in Chelsea, only selecting to post #ad on certain posts and not others that also clearly include brands – and many of her co-stars and other influencers getting in trouble with the ASA for not declaring paid-for posts. According to The Guardian, “supermodels including Kendall Jenner, Bella Hadid, Elsa Hosk and Emily Ratajkowski, are potentially steps away from facing demands to return sizeable payments they received for helping to promote the ill-fated Fyre Festival”, which could instigate more vetting from influencers of the brands they choose to work with. And will brands learn from the Fyre festival scandal? Rohan Midha, Managing Director of PMYB influencer agency, has said of the festival, ‘I think brand managers and influencers will now be more cautious and that can only be a good thing.’ The message is simple: brands need to research harder to find the right influencer for them. There’s no denying that Instagram is here to stay, with DigitalMarketingInstitute.com recalling some interesting statistics. These include ‘86% of women use social media for purchasing advice’ and that overall ‘49% of consumers depend on influencer recommendations’ when purchasing a product. 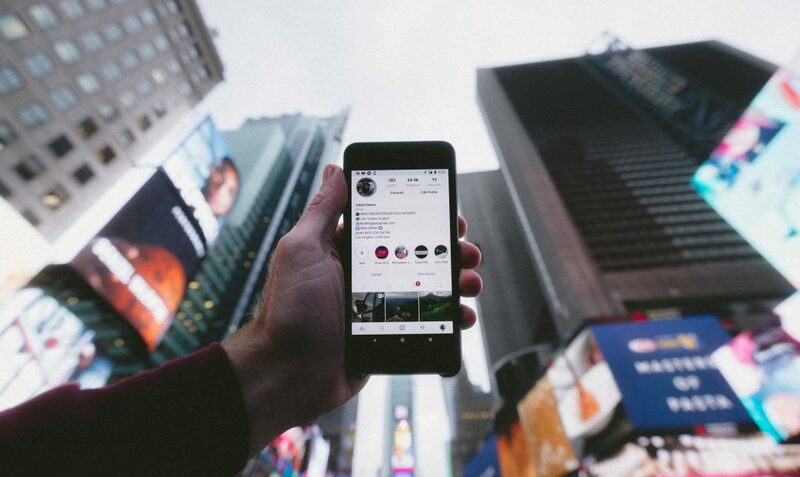 Instagram continues to be a confusing yet equally lucrative space for brands to be able to market their products, so where should brands turn to? The rise of micro-influencers, with anywhere between 10,000 and 500,000 followers, is what Forbes has called ‘The marketing force of the future.’ Micro-influencers have established a trust with their audience and brands can make use of this personal relationship and niche following. Dedicated research into engagement and demographics can lead brands to find a knowledgeable and well-established influencer in a niche field which will ultimately be more affordable than a macro-influencer. It is clear that Instagram and its marketing capabilities are not going anywhere. So if you want to try influencer marketing but you’re not where to start, we can’t blame you. But we can certainly help you, with a Digital Marketing team on hand to help with content creation, scheduling and reporting, get in touch to find out more.